"The play’s a lot of fun: fast paced, excellently directed ... very well acted. 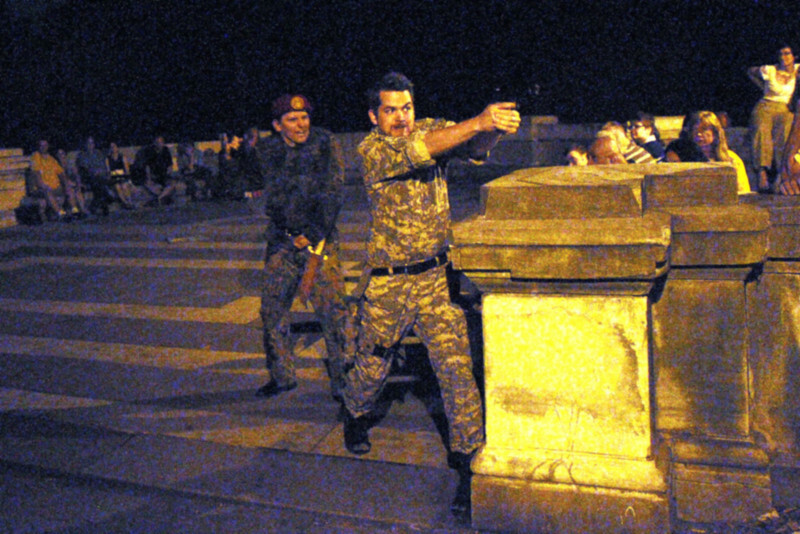 They make great use of the outdoor space, with a couple of memorable entrances as actors climb the monument's ramparts to get on stage." — Lincoln Center's "Shuttleworth on Shakespeare"
The Hudson Warehouse holds open auditions in January and September. If you would like to be considered please feel free to submit your headshot and resume at that time. Look, too, for our audition listings on our Facebook page.